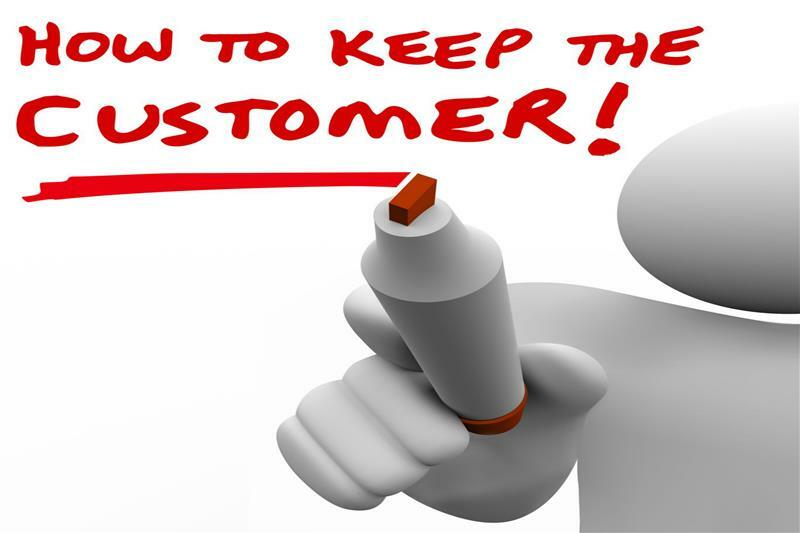 Business is a game of give and take, so it's not always about netting new customers. In today's article, we'll help you keep the customers you already have on the books, well, on the books. When a business is growing, it’s natural that the focus may be on adding new clients to the roster, but that may not always be the best approach. Of course some focus should be in that area, but retention is also a vital factor. After all, what’s the point in gaining one customer when you lose two the same day? With that in mind, we’ve whipped up four simple (and almost free) ways you can improve your customer retention starting today. There are few things more frustrating than amazing offers that are reserved only for new customers. In fact, doing this is a great way to force customers towards the door! That’s why it’s a good idea to flip the idea on its head, and actually offer some great unique deals for existing customers. It doesn’t have to be anything outlandish – even a simple voucher code will work – but it serves to improve your reputation in the eyes of your customers. When you’re busy running a small business, it’s pretty easy to focus on the day-to-day running of things, provided the payments are still coming in. But there is something to be said for making time to interact with clients in a real (and personal) way. So the next time you’re negotiating a new contract or taking a new order, take a minute to ask about the person doing the ordering. Building these business relationships can be key to netting repeat orders and word-of-mouth recommendations. As we’ve talked about already, rewarding existing customers is a very important factor – but what about the top-tier VIPs? In every business, there’ll be those customers who spend far more than anyone else. And while you don’t want to be seen to be giving preferential treatment, there’s no harm in offering the occasional incentive, like a one-off discount or even something as simple as a branded mug! Here’s another area where you can create unique special offers in a way that keeps them coming back. In order to make doubly sure that your business relationships are as healthy as possible, you need the right tools for the job. There’s only so much that a to-do list can do before you’re missing valuable opportunities. That’s where something like the AutoVu CRM platform can come in very handy. It’ll give you a top-down view of all customer communications, important contact details, product management, project management and documentation options too. How’s that for keeping yourself in the know? If you’d like to improve your customer retention and ensure your customer satisfaction levels are through the roof, why not try the AutoVu CRM platform? Explore the website today and see for yourself how easy it could be.